As previously mentioned, a statement was sent by our Synodal Chancery under His Beatitude Metropolitan John that confirmed the basic tenet of our re-affirmation of full communion with the Greek and Russian True Orthodox Synods, and this statement was received with acceptance before any visit was made to Greece. This statement was worked out in the period of 2017 and early 2018 prior to the visit of His Beatitude Metropolitan John to Greece; an additional statement was later achieved while in Greece with the representatives of all our respective Sister Synods, further affirming our positions for the True Orthodox Faith and further condemning the heresies of Modernism, Ecumenism, Sergianism, and any occult or Masonic teachings, and also with an affirmation of the exclusive usage of the Patristic Orthodox (Julian) Calendar. The statement was negotiated with the help of the representative of the True Orthodox Synod of the Patristic Calendar (‘Avlona Synod’), His Eminence Archbishop Gavrilo of Moravia, as a preparation to resuming full communion. Additional recommendations were made to clarify any issues that had not previously been clarified. Below is the agreed statement between the Synodal Chancery under His Beatitude Metropolitan John and the representatives of our Sister True Orthodox Synod in Avlona. We also deeply thank His Eminence, Archbishop Porpyrios of Euchaiton, in his fundamental instrumentality in the re-establishment of communion between our Synod and the Synod of the True Orthodox Church of Russian presided over by His Beatitude Metropolitan Seraphim of Moscow; expressing very deep respect and great gratitude to His Beatitude Metropolitan Seraphim for his prayers, patience ,and courage in upholding the True Orthodox Faith in Russia. 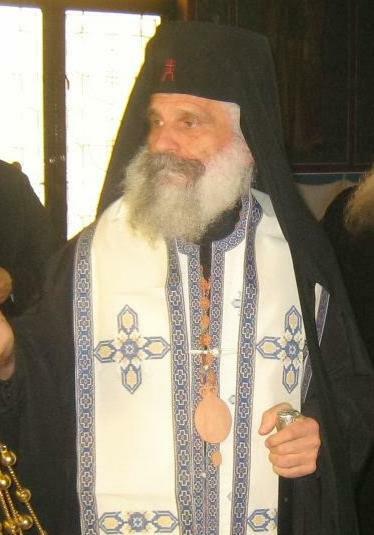 Also, we acknowledge and greatly honour His Beatitude, Metropolitan Angelos of Avlona, the excellent spiritual father and elder of many bishops, priests, clergy, monks, and nuns, who constantly prayed to God and intervened to find a solution to the problems confronting our respective Holy Synods. The process was one filled with great prayer and earnest faith in God, which resulted in an acceptable union in the True Orthodox Faith. We confess One, Holy, Catholic, and Apostolic Church, “which is the Church of the Living God, the Pillar and ground of the truth” (1 Tim 3:15), the Body of Christ (1 Corinthians 12:13), “the fullness of Him that filleth all in all”(Ephesians 1:23). This Church is the True Orthodox Church which alone is the Ark of Salvation, and alone has true Apostolic Succession and Mysteries. 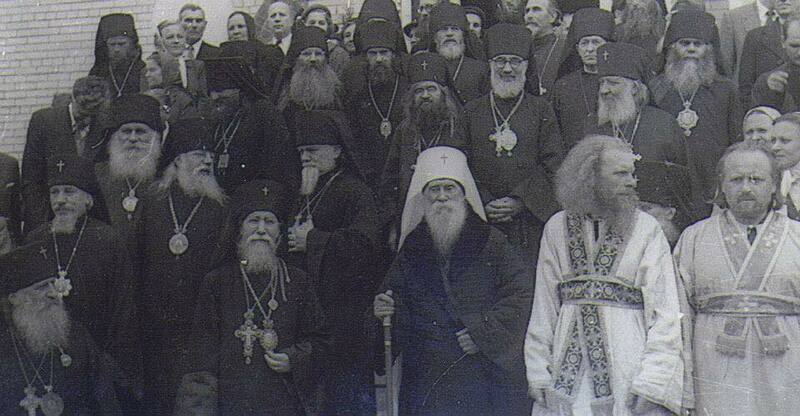 We testify that, due to the confession by hierarchs of the bodies of so-called “World Orthodoxy” of the pan-heresy of ecumenism that the faithful children of God have departed from them and thereby condemned them. But they have condemned “not bishops, but false-bishops and false-teachers, and they have not sundered the unity of the Church by a schism, but have endeavored to protect the Church from schisms and divisions” (Canon 15 of the First-Second Council) For the separation from ecclesial communion with heretics commanded by the Apostles and Holy Fathers and enjoined by the holy canons represents separation not from the Church, but from the false Church: Come out of her, my people, that ye be not partakers of her sins (Revelation 18:4). By separating from heretics, no matter how numerous and organized they might be, the Church of Christ consistently maintains its unity and completeness, which are the unity and completeness of the Body of Christ, and not of an earthly, human organization. 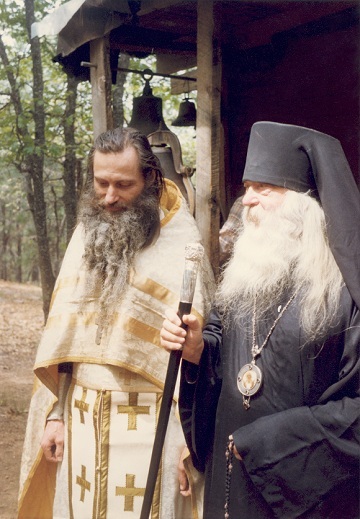 To avoid confusion in people’s minds between the True Orthodox Church and ecumenical false-churches that also, falsely, call themselves “Orthodox,” the faithful children of God – both in Greece and in Russia, and then in the rest of the world – began to call themselves “True Orthodox Christians,” and to call the Church “True Orthodox.” Therefore, we do not accept the sacraments and rites performed by clergy of so-called “World Orthodoxy” as valid or grace-filled, nor do we recognize the bodies of “World Orthodoxy” as Orthodox Churches. We condemn and anathematize the heresy of Sergianism, which wickedly teaches that the Church of Christ should submit to atheistic and God-hating and God-fighting authorities that openly proclaim as their goal the destruction of Orthodox Christianity. We condemn and anathematize the heresy of Modernism, which wickedly teaches that the Holy Scriptures of the Old and New Testament are not inspired to be doctrinally and historically accurate, or that the ecclesiastical traditions of the Ecumenical and approved Local Councils should be abandoned or revised in accordance with modern ideas. We affirm that the Holy Scriptures are ineffably and inerrantly inspired by the Holy Spirit as the Holy Fathers and Saints have taught and received, and that the ecclesiastical traditions, canons, and decrees of the Councils of the Church are also inspired by the Holy Spirit. Likewise, the most false teachings of the Protestants and all others who rest the Scriptures apart from the Patristic interpretations, with the false ‘Sola Scriptura’, is condemned in accordance with the decrees of the 1672 Synod of Jerusalem [Decree 2], as well as the false view of the Papists that the so-called “Pope of Rome” may alone interpret them; and therefore, those heretics, along with the Monophysites, Nestorians, and all other heretics, ancient and modern, who most falsely distort the interpretation of the Holy Scriptures and Holy Tradition are condemned. We venerate the Most Holy Name of Jesus Christ, recognizing that the Uncreated Divine Energies work through it, though it is itself not a Divine Energy. Therefore, all theories and opinions that have come about in recent times which seek to state that either the All-Holy Name of Jesus Christ or other names of God are Uncreated Energies, we do not accept. We affirm the decrees of the Pan-Orthodox Councils of 1583, 1587, and 1593 under the Ecumenical Patriarch Jeremias the Illustrious, and the Council of 1848 under Ecumenical Patriarch Anthimus IV which have forbidden and condemned the change from the traditional, Patristic Church Calendar to the New [‘Gregorian’] Calendar. We affirm with the Council of 1583: “Whosoever does not follow the customs of the Church…and wishes to follow the new-fangled Paschcalion and the new Menologion of the ungodly astronomers of the Pope, and set himself in opposition in all these matters, and wishes to overturn and destroy the doctrines handed down by our Fathers and the Customs of the Church, let him be under anathema, and let him be outside the Church of Christ and the Assembly of the Faithful.” As such the introduction of the ‘New Calendar’ in the early 20th century brought disastrous consequences, and was introduced with heretical ecumenistic-modernistic intentions, since the 1920 Encyclical of the Ecumenical Patriarchate “To the Churches of Christ Wheresoever They May Be,” in seeking to establish this innovation, states that the union with heretical bodies is not impeded ‘by the existing dogmatic differences’ and that such a union is to be accomplished by “the acceptance of a common calendar”. Note: The following addendum was attached to the document. 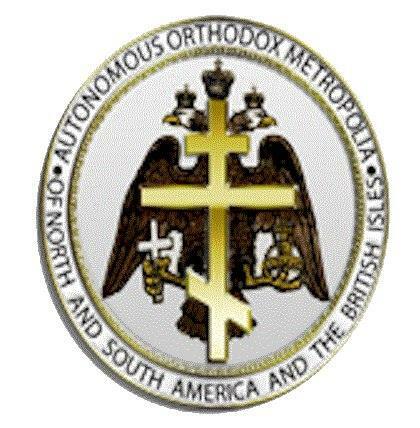 Given the recent development of the situation at hand and given the current state of affairs in our respective True Orthodox Holy Synods, on behalf of our respective Holy Synod, I, the undersigned Metropolitan John, the president of our Holy Synod, hereby express the intention that our respective True Orthodox Holy Synods be reunited in Holy Communion and brotherly love, and expressly appoint His Eminence Archbishop of Euchaiton Porfyrios to negotiate said reuniting in Holy Communion towards the Holy Synod of the Russian True Orthodox Church presided by His Beatitude Metropolitan Seraphim. Additionally, any other Synods that we shall enter into communion with on the common basis of True Orthodoxy shall be discussed by the respective Synods of our Churches and their appointed delegates. We also hereby acknowledge the work and effort of Archbishop Gavrilo of Moravia assisting in this process thus far.